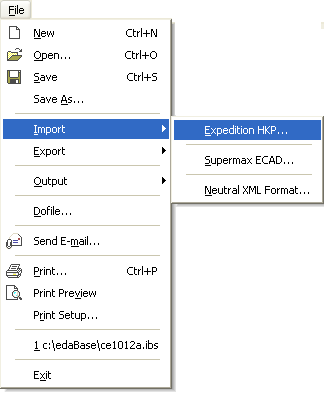 Mentor Graphics Expedition designs are imported in the HKP file format. 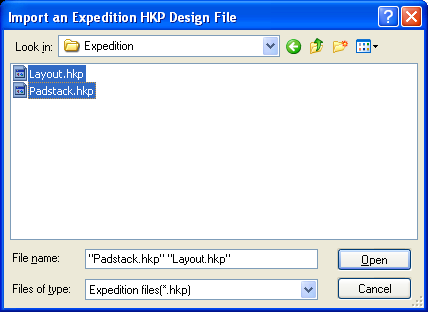 From within the Expedition database it is possible the export the design into this neutral HKP ASCII file format. When importing an Expedition design select both the padstack and layout file to read the entire data structure.